The US Department of Agriculture (USDA) seeks public comment on methods for improving self-sufficiency among “Able Bodied Adults without Dependents” (ABAWDs). A possible method for achieving this goal is reforming “time restriction waivers” for states and localities, which currently allow five states, parts of twenty-eight states, and 1,300 counties to ignore ABAWD work requirements. SNAP has time restrictions on ABAWDs receiving benefits. ABAWDs are able-bodied adults age 18 to 49 without pregnancies or dependents for whom they care. Since ABAWDs can and should work, SNAP limits their benefits to only three months in a three year period without meeting work requirements. After those three months, ABAWDs must work at least 80 hours per month, volunteer, or enroll in school or job training. A recent 24-month average unemployment rate 20 percent above the national average for the same 24-month period. Additionally, states may wave time restrictions for 15 percent of their ineligible ABAWD caseload. This waiver exists to help states deal with the alleged complexity and burdens of monitoring recipients and the benefits they receive. State and local waivers, as well as the 15 percent waiver are applied at states’ discretions. For example, Maine and Kentucky passed legislation banning their state governments’ from applying for waivers. Waivers make some sense for times with chronically high unemployment, but in today’s steadily growing economy, not so much. The 20 percent rule allows California to get a state-wide waiver for ABAWD time restrictions. Meanwhile, California’s unemployment rate has been under 6 percent for almost three years, the state outpaces the US in per capita income, and it eclipsed US GDP growth during the past five years. Its unemployment rate today is a cool 4.3 percent. The large national caseload of ABAWD waivers suggests that getting a job in the United States is difficult, even though jobless claims dropped to a 45-year low and economists say the US has reached full employment. Giving high-performing states like California waivers defeats the purpose of work requirements! Since the economy began recovering following the Great Recession, total SNAP recipients have declined but are still well above pre-recession levels. ABAWD time restriction waivers have also declined. There were 42.203 million SNAP recipients in 2017, down from its peak of 47.636 million in 2013. This figure is still 16 million higher than the 26.549 million recipients in 2007. Meanwhile, real median household income in 2016 surpassed 2007 totals by almost $1,000. SNAP enrollment is slow to respond to today’s economic prosperity. Heightened benefits come from Bush and Obama administration policies, as well as state decisions. SNAP enrollment also grew during the booming pre-recession 2000s economy. The 2002 and 2008 farm bills signed by President Bush extended SNAP to non-citizens, boosted benefits for larger families, indexed benefits to inflation, simplified enrollment, and hiked minimum benefits. President Obama’s 2009 stimulus law waived ABAWD work requirements nationwide through September 2010 and expanded benefits through 2013. States used administrative authority outlined in the 1996 welfare reform law to expand enrollment on their own. Tightening waivers should be a USDA priority. States should only receive waivers if the economy is bad. As it stands, the waiver process is preventing SNAP enrollment from falling to pre-recession levels since many ABAWDs are waived from work requirements. If ABAWDs faced the option of working to receive benefits versus getting none, enrollment would decline and USDA’s resources would go to people who truly need them. Maine presents fantastic results for refusing its own ABAWD waiver eligibility. In 2014, Maine passed a law forcing ABAWDs to follow work requirements. One year later, ABAWDs receiving SNAP benefits fell from 16,000 to 4,500 and income among ABAWDs rose by 114 percent. Since then, ABAWDs receiving benefits in Maine have fallen further, and many are back to work earning more income than SNAP provides. This reform proved that a large portion of ABAWDs are either willing to work towards self-sufficiency or are receiving unreported income besides benefits. Removing waivers across the country would bring Maine’s results elsewhere. The 4.5 million ABAWDs receiving SNAP benefits nationally would decline, saving federal dollars and preserving them for the most needy, like folks with disabilities or dependents. Waivers do not serve goals of self-sufficiency or food security during a strong economy. FreedomWorks Foundation urges USDA to implement reforms that reduce ABAWD waivers for states and localities. You can file public comments supporting waiver reform here. Hello Guys, just I am promoting my website link on this comment bod because it is one of the great blogs in this globe, here I am just adding my website link on this page so please see my website too. I am happy to find your distinguished way of writing the post. Now you make it easy for me to understand and implement the concept. Thank you for the post. https://americasuits.com/aiden-pearce-watch-dog-leather-jacket "watchdogs jacket"
This is a 20 second exposure from a high res. digital weather camera that increases in width which suggests it is heading toward the camera.....it's an incoming plane with its landing light on? Thanks for this informative content. It’s really good. Actually, I want to share some thoughts and reviews about an Australian assignment help company in Australia and the brand name is SAMPLE ASSIGNMENT. 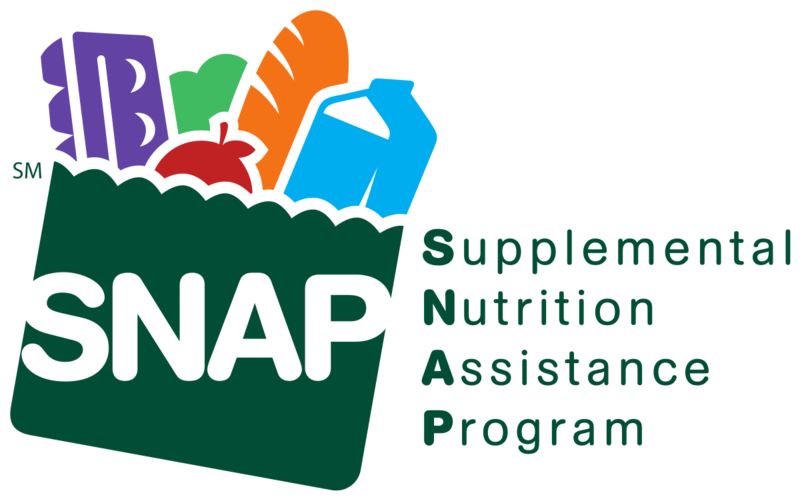 Supplemental Nutrition Assistance Program is helping many peoples https://kaplanmd.com . It is the largest program in the domestic hunger safety. And provide economic benefits to low income individuals and families. Congress put the effort of create SNAP to reduce food insecurity among impoverished Americans. You can trust our academic ghostwriters completely to get best quality write-ups including case studies, research proposals, dissertations and case study assignment help, and more. This is a serious matter of discussion. Health and welfare should be the top most priority of every nation. Healthy citizens help in the healthy development of a nation. Students often feel issues in writing assignment, so to make students comfortable in java assignment we help them to write their assignments. If ever you feel any problem in writing something you can visit our website Java Assignment Help. The company basically conducts the survey to know customers views and opinions because customers https://surveyinfo.xyz/www-mcdvoice-com/ play an important role in the prosperity of the company. Thank you for such a well written article. It’s full of insightful information and entertaining descriptions. Your point of view is the best among many. get for http://sattamatkamarket.in for fastest matka result. I own 100% of a luxury bike rental company and a chain of small grocery stores. The choice of attempting to get benefits as opposed to getting none, enlistment would decay and USDA's assets would go to https://www.assignmentdone.co.uk individuals who genuinely require them. Many thanks for the given this blog here that the amazing to all web users have to seen the online all way for fix connections for bluetooth audio devices and wireless displays so click here http://fixwindows10connections.com and save to setting of device online for best working on platform thanks. FreedomWorks today marked the 20th anniversary of the 1996 welfare reform bill – the Personal Responsibility and Work Opportunity Act – which was passed by a Republican-controlled Congress and signed into law by President Bill Clinton. The fundamentally changed how the federal welfare system functioned by placing an emphasis on employment for those who received benefits and empowered states to design and implement their own plans. USDA Spends $19.9M on One Fish, Two Fish, Red Fish...Catfish? The Senate recently passed legislation that would result in a minor victory against the regulatory state and for the legislative branch reclaiming its powers. The measure is now pending in the House, where Republican leadership should bring the measure up for a vote. What is the target of this unnecessary regulation? Catfish. Yes, catfish. Regs on Eggs: Are You Pulling My Leg? There are few objects more simple and elegant than an egg, but you’d never know that from the Byzantine way the government regulates America’s favorite breakfast food. Recently, the public debt crisis in Puerto Rico has sparked widespread discussion about the need for public pension reform. The island territory is already $72 billion in debt, with shortfalls in the public pension fund of up to $30 billion. Without major changes in government spending patterns, Puerto Rico is in danger of becoming insolvent, sending the already brittle economy into a death spiral. While many on the left call for the immediate restructuring of Puerto Rico’s debt, the island’s plight is just the latest example of a state or territory misusing and abusing their public pension system, demonstrating the dire need for reform. Social Security funds are set to dry up by the year 2034. In an election cycle with a focus on foreign affairs, national security, and the economy and jobs, Social Security reform has largely remained off the radar. As a millennial paying into this program fully knowing I will never receive its benefits if the system continues its course, I decided to dig a little deeper into the candidates’ positions on this topic.